Twenty-one year old Elmo Fernandez can usually be found in his quiet corner at the BayaniJuan Livelihood Center in Calauan, Laguna. He will be seen busy stringing beads and meticulously varnishing them which make the beads shiny and durable. 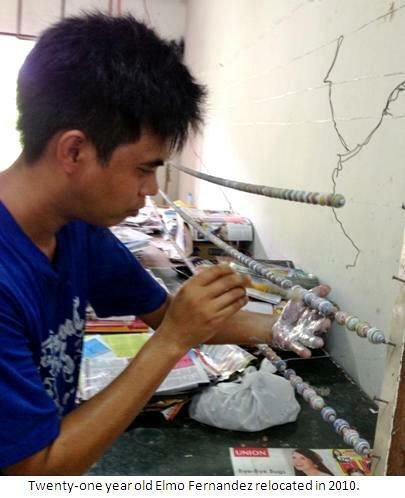 If there is not enough beads to string or varnish, Elmer will join the other workers in rolling the strips of papers they had prepared earlier out of the pages of glossy magazines donated to BayaniJuan. This is what Elmer has been doing for over a year now. He is one of the workers at the BayaniJuan Livelihood Center. Elmer and his family relocated in BayaniJuan in 2010. Their house in Pasig was devastated by the merciless typhoon Ondoy. At first, they were hesitant to transfer to an unknown place but they were left with no choice as everything they own was swept away by the flood. To have a roof over their head was a blessing he, together with his parents and siblings, gladly accepted so they joined the other families and moved to BayaniJuan in Calauan, Laguna. 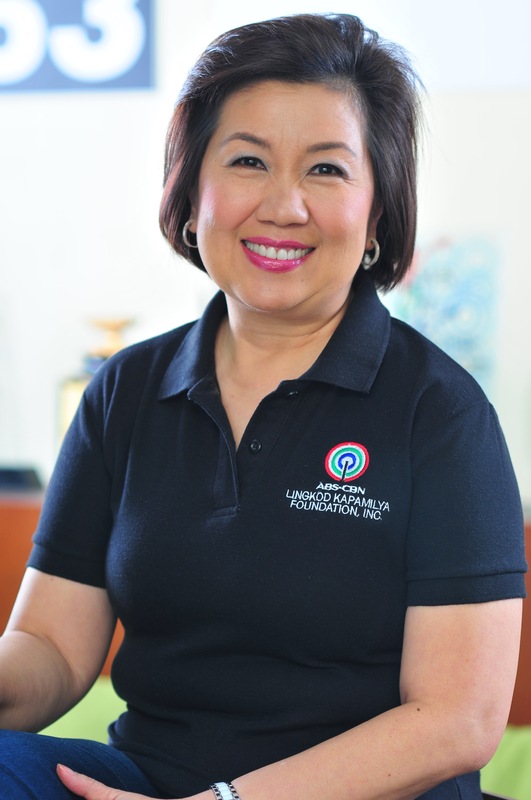 Their family was grateful for the support of ABS-CBN Foundation, National Housing Authority and all the other institutions that develop BayaniJuan. The family’s hope was renewed and they slowly rebuilt their lives. When Elmer heard of the free livelihood training program for BayaniJuan residents, he immediately signed up. He is now one of the regular workers at the Livelihood Center. Together with other workers, he turns someone else’s trash, like old magazines, into a treasure. The magazine pages they form into beads are used to make lanyards, bracelets and even candle holders. Elmer and the other workers are currently busy preparing lanyard that will be given away to the participants of One Run, One Philippines – A marathon for the benefit mainly of Pasig River. He finds value in what he is doing as it will benefit the environment, particularly the place he used to call home. “Dahil sa mga basura sa Pasig River kaya kami binaha nung Ondoy, sana hindi na yun mangyari uli,” Elmer says.